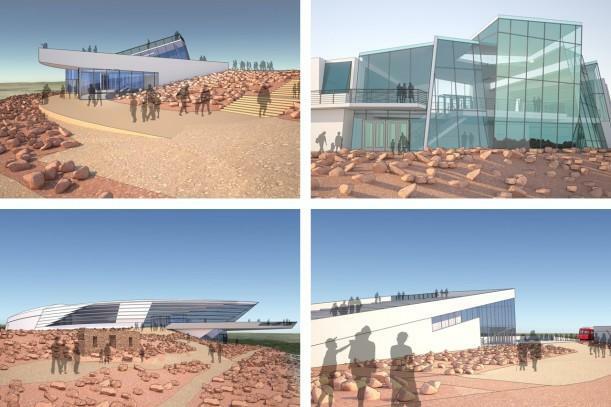 It was standing room only Tuesday evening as more than 100 people came out to watch the unveiling of the design for the new Pikes Peak Summit Complex. The final design is based on the first of the four options, but also incorporates elements from other designs that received positive feedback. The two-story plan features floor to ceiling windows exposing views of nearby Mt. Rosa, as well as a café area and large outdoor deck for viewing. Manager of Pikes Peak – America's Mountain Jack Glavan says the design focused on not taking away from the natural beauty of the summit. "The big things that people liked were the site location, the minimal impact as far as the environmental concerns and the landmarks went, and also the fact of a minimal building," says Glavan. Architects are planning on using materials like granite and pinewood to further help the building blend in and mimic the mountain. Construction should start early in 2017 and is expected to take a couple of years to complete. You can see more renderings of the chose design for the Summit House and Complex here [.pdf]. 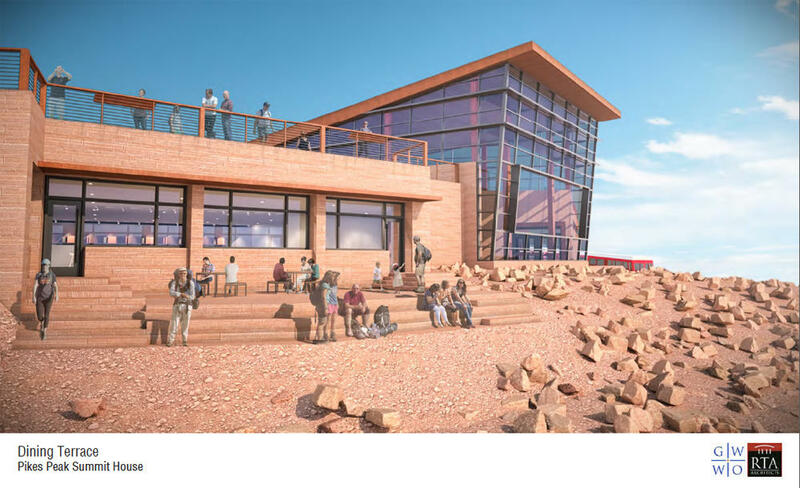 The project to build a new Pikes Peak Summit Complex is in its final stages of preliminary design. Four options are under consideration, which aim to modernize comfort and educational experiences for visitors.